Keep the Past in the Past! It’s time to let go of your past. I’ve had many sleepless nights. Nights when I was so worried about something that had happened and that I let it dictate my future. We’ve all been there at some point. You’re not alone. Whether it’s something small (i.e saying something you wish you hadn’t) or something big (i.e a divorce, death, job loss), harping on negative experiences is painful and can cause so much unneeded stress and anxiety. 1. Learn from the past and move on. Not all experiences we have will be good. However there is something to be learned from them all. Take time to reflect on your experiences and use them as a tool for self reflection so that you can learn and grow but don’t dwell on them. dwelling to much on things keeps the negativity around. It’s good to talk about your feelings. Don’t keep them bottled up inside. Whether it’s talking to the individual who has harmed you (or who you harmed), venting to a friend or writing it down, expressing your feelings can assist you in sorting out what, if anything, needs to be done to move on. 3. Accept Responsibility for your actions. Sometimes when things happen, we don’t always accept responsibility for our actions. We get defensive, and we want to play the victim. The problem is, blaming others harbors anger and prevents you from moving forward. Accept responsibility for what happened and move on. One of the best ways to let go of your past is to embrace the present. Instead of reliving the past, keep yourself active and enjoy the current moment. Be mindful- enjoy time with people you love and doing the things you love (i.e. going to dinner, running, taking a yoga class, having coffee with friends, etc.). Accept that negative feelings are a part of life, but you can choose to look at the positive and make your own happiness. 5. Disconnect for a while. Allow yourself to take some time away so that you can clear your head. 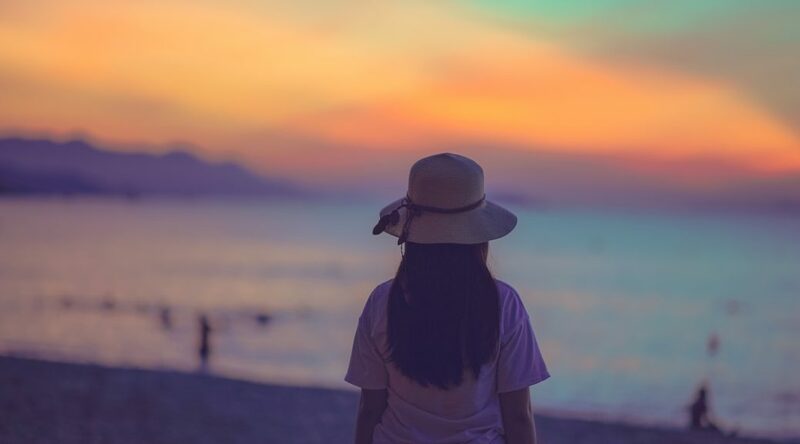 Maybe meditate, find a quiet spot to read, head to the beach (my favorite place to disconnect). When you return, you’ll have a better perspective on the past and look more positive towards the future..
6. Let go of negative people in your life. Are there people in your life who are bringing you down? Are they preventing you from moving forward? Move away from these people to find more positive people who will empower you. Meet people at your gym, yoga studio, running group, etc. 7. Practice forgiveness of both yourself and others. We’re all human and we make mistakes. Forgiveness is essential to spiritual growth. If you’ve been hurt by someone, harboring feelings of anger or animosity just perpetuates the problem and continues to make you angry, forgive and move on. While you’re at it, forgive yourself too. Its ok to make mistakes, as long as you’re learning from them, cut yourself some slack. Start making new, positive memories to replace those negative memories from your past. Spend your time with the people you love, and doing the things that bring you happiness and peace. Here’s to living in the NOW!! Whether you’re new to yoga or have been wondering the same thing for years, I’ve got some answers to some of yoga’s most frequently asked questions. When you think of yoga, do you think of people hopping up into handstand, doing seemingly impossible balances, and weirdly twisted poses? I bet some of you do… well yoga is much more than that. Yoga is a 5000 year old Indian body of knowledge and was derived from the Sankrit word “yuj” which means “to unite or integrate”. Yoga is all about harmonizing the body with the mind and breath through the means of various breathing techniques, yoga postures (asanas) and meditation. Namaste is a gesture/greeting that represents the belief that there is a Divine spark within each of us that is located in the heart chakra. The gesture is an acknowledgment and universal recognition of spiritual energy. By stating namaste, your souls is recognizing and honoring the light in someone else’s. 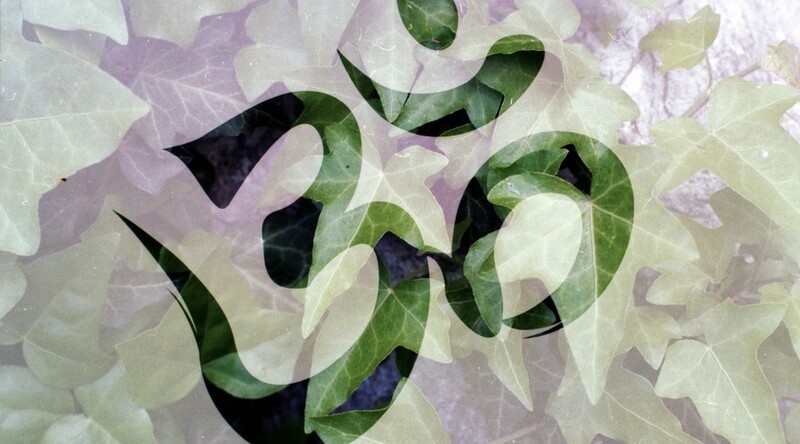 Om is a mantra, or vibration, that is traditionally chanted at the beginning and end of a yoga class. It is said to be the sound of the universe. The entire universe is moving nothing is ever solid or still. There exists a pulsating, rhythmic vibration that the ancient yogis acknowledged with the sound of Om. We may not always be aware of the sound, but it’s there. You can hear it in the blowing of the leaves, the waves crashing on the shore, or inside a seashell. Chanting Om allows us to recognize the universal movement through our breath, our awareness, and our physical energy. We begin to sense a bigger connection that is both uplifting and soothing. Do I Have to Be Vegan or Vegetarian to Practice Yoga? The first principle of yoga philosophy is ahimsa, which means non harming to self and others. Some people interpret this to include not eating animal products. There is a debate about this in the yoga community. I believe that it is a personal decision that everyone should make for themselves. If you are considering becoming a vegan or vegetarian, be sure to take into account your personal health and perhaps consult your doctor. You do not have to be either to practice yoga. Yoga is strengthening, cleansing, and detoxifying. Whether you practice once a week or everyday you will still see and feel the benefits of yoga. However, when you go more frequently you will experience the shift in your body sooner. I suggest starting with two or three times a week. Go when you can. After a while, I am sure your desire to practice will increase and you will find yourself doing more and more. Unlike stretching or fitness, yoga is more than just physical postures. Yes you’re body will become stronger and more flexible as it would if you just stretched, but so will your mind. Through yoga we are able to connect the movement in our bodies with our mind and to the rhythm of our breath. When we do this, we begin to direct our attention inward, allowing ourselves to become more present and aware of our experiences. Yoga is about building awareness in our bodies without judgement. Yoga is not a religion. It is a philosophy that began in India an estimated 5,000 years ago. The father of classical ashtanga yoga (the eight-limbed path) is said to be Patanjali, who wrote the Yoga Sutra. These scriptures provide a framework for spiritual growth and mastery over the physical and mental body. Yoga sometimes interweaves other philosophies such as Hinduism or Buddhism, but it is not necessary to study those in order to practice yoga. I’m Not Flexible. Can I Do Yoga? Yes! You are a perfect candidate for yoga. Many people think that they need to be flexible to begin yoga, but that’s not true. 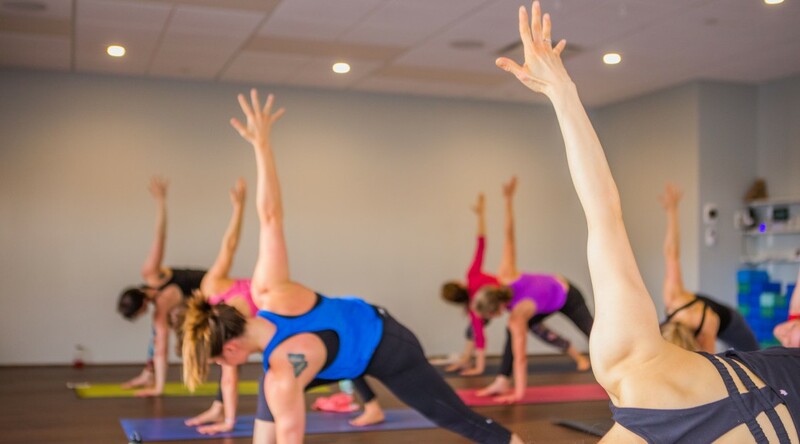 Come as you are and you will find that your yoga practice will help you become more flexible as well as balanced, stronger, and more coordinated. All you need to begin is an open mind and a desire to learn. When you begin, look around and find a studio and style that’s right for you. Consider investing in a nice pair of leggings or shorts and a t-shirt or tank. Make sure they are not too baggy and maybe get some things that are sweat wicking. We practice barefoot, so there is no need for shoes and socks, leave them at the door! Bring a water bottle and towel, as well as a yoga mat to class if you have one. No mat? That’s ok, most studios have mats you can borrow. Why Are You Supposed to Refrain From Eating 2–3 Hours Before Class? In class we will twist, turn, and bend. So if you have not fully digested your last meal, it may make you feel uncomfortable. If you’re afraid that you might get hungry or feel weak during yoga class, experiment with a light snack such as yogurt, a few nuts, or juice about 30 minutes to an hour before class.